Type 2 diabetes is often labeled as adult onset, or I've also heard it as non-insulin dependent. It is much more common than type 1, especially in adults, though nowadays it is even being seen in some children. When you have diabetes , what happens is that the pancreas is slowing down, but still producing some insulin. Type 2 diabetics are often known as being insulin resistant, which simply means is that the insulin does not travel correctly within the body and go where it needs to in order to lower blood sugars properly. Over time, at least in my own personal case, my own pancreas had gradually decreased in it's insulin production, to the point where I actually made very little insulin on my own. It was at that time that my doctor prescribed a long acting insulin Lantus for me so that I would have enough in my system to lower my sugar levels. What happens in both types of diabetes, is that we lose our ability to make insulin, or do not utilize the insulin we make properly for sugar control. Sugar is very important in that it is the basic fuel for the cells in our bodies. We need insulin to carry sugar from the blood and into the cells. Both types of diabetes, are serious conditions and can lead to many health problems. Problems that diabetics encounter are kidney disease, heart disease, and circulatory problems, not to mention the effect it has on the eyes. It is very important that your blood sugar fluctuations are tightly controlled with good control of blood sugar levels. What is good blood sugar control? The normal range should be between 70-98 fasting, and not above 130 after meals for anyone. A blood sugar level above 126 or more fasting is indicative of a blood sugar problem, especially when taken fasting on two different occasions. Diabetic patients should look into multiple sources of information in order to figure out the best methods available to deal with their condition. A good doctor will know how to treat it right and give you the nutritional information you need to eat the right foods for control of your sugar levels. Sometimes herbal preparations can help, though I personally have never sworn by them myself. See your doctor for further advice on this subject of vitamins. I will discuss weight and diabetes further later in my articles and perhaps add a doctor's article for reprint on this as I do have a wealth of materials I can use on the subject of weight and blood sugar control. Look for upcoming articles then. Did you realize that pancreatitis is often brought on by diabetes? Click here for info. Children have type 2 diabetes also. 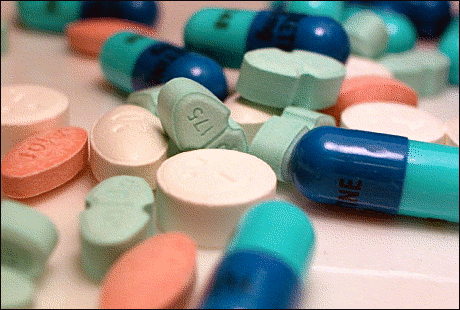 Type 2 diabetes can often be treated with oral medications when first diagnosed. This is where I was when I first was found to have type 2 myself. Unfortunately, pills may not do you good forever as in my case, but I was able to avoid insulin for 12 years by taking just oral medications. There are several types of medications available. You may take one drug or a combination of them. Sulfonylureas These drugs stimulate your pancreas to make more insulin. If you have working insulin cells yet, they will do the job. They are also used in conjunction with insulin injections. Biguanides This class of drugs decrease the amount of glucose made by your liver. Alpha-glucosidase inhibitors These drugs will slow the adsorption of the starches you eat. Thiazolidinediones This category of drug types will make you more sensitive to insulin that you still make on your own. Meglitinides These drugs will stimulate your pancreas to make more insulin while the pancreas is still able to do so. D-phenylalanines These derivative type of medications help your pancreas make more insulin quickly. DPP-IV Inhibitors These medicines boost incretin gut hormone production to help lower blood glucose levels. Combination oral medicines These medicines will combine separate oral medicines together. LifeGress - Where Life Meets Progress Get the latest news about the breakthroughs and discoveries that are going to change the future of the world. Lifegress is updated daily with information about technological, scientific and medical developments that will impact everyone's lives for the better. Click here to see. 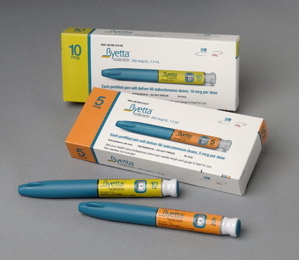 In type 2 diabetes, there is an alternative to insulin which is Byetta. This injectable drug also known as Exenatide, is the first in a new class of medicines called incretin mimetics because it mimics the action of the hormone human glucagon like peptide-1. Glucagon-like peptides are produced and released into the blood by the intestine in response to foods. They will increase the secretion of your insulin from the pancreas and slow emptying of your stomach., which in turn decreases the amount of glucose in your bloodstream. They also suppress the release of glucagon by your liver, which can decrease hyperglycemic episodes. Byetta also reduces the appetite. All together, these actions reduce blood glucose levels. Byetta will reduce your sugars when they are high, but does not continue to do so after a normal level, therefore avoiding the risk of hypoglycemia. Byetta can work alone, but it is often used in combination with other pills such as Metformin or Actos. It is prescribed for type 2 patients who have not been able to achieve good control with pills alone. With Byetta stimulating the creation of insulin in the pancreas, it should not be used in patients with type 1 or who require insulin to live. Some people like myself for instance, cannot take Byetta. It causes really bad nausea in many patients as it did me, and sometimes cannot be tolerated well. In other patients, I have heard it works just fine without side effects, and in others, the nausea will go away over time. Talk to your doctor about this alternative if your sugars are not under control, but you are not ready for insulin. It may be the right alternative for you. The miracle of Good Health is like a gift that we do not fully appreciate and tend to take for granted until we lose it. To learn something about this gift and how we can ensure that we live a long happy life visit the miracle of good health. For more information on type 2 diabetes, see this site. Visit my partner's diabetes site here. Make this site more interesting and tell your Type 2 Story! Do you have type 2 diabetes? Tell us your story! After all, this site was built for you! Tell us how you manage your type 2 diabetes.